Ladies and Gentleman... we officially have the first week down in the books!! And what an AMAZING week it was!! #BestFirstWeekEver!! My kiddos are just awesome. We learned a lot and laughed a lot! My own children also had a great week (aside from a quick bout of a stomach bug that kept one home for a day!). My oldest, Drew, started 1st grade. My middle, Quinn, started Kindergarten. And my toddler twins, Addy and Chase, began two-mornings-a-week preschool. Additionally, Mr. Musings from the Middle School (my husband Dennis), started a new school year, too! Phew!! My head is spinning! Anyway, I hope everyone is having a great weekend and recovering from this busy time of year. This post is mainly a pictorial of some of the goings on in my classroom this week. As we settle into our routine, I'll be back with more "meaty" posts (and hopefully some new videos, too!). One of my favorite activities from the week was this Growth Mindset lesson that I adapted from here. Basically, the kids had to create the image on top using just a piece of paper and scissors. It was NOT easy... but that's exactly the point! As the kids worked, I wrote down some of the comments I heard. Things like, "this is impossible," and "I give up!" After I let them struggle for a while, I brought them back together and discussed the activity with them. It was eye-opening to see their words. They all agreed that their attitude was too negative so of course they would never have been successful. Then we read the Growth Mindset posters hanging in our room and discussed what each one meant. I closed with this video from Khan Academy. It was a fun and powerful lesson. 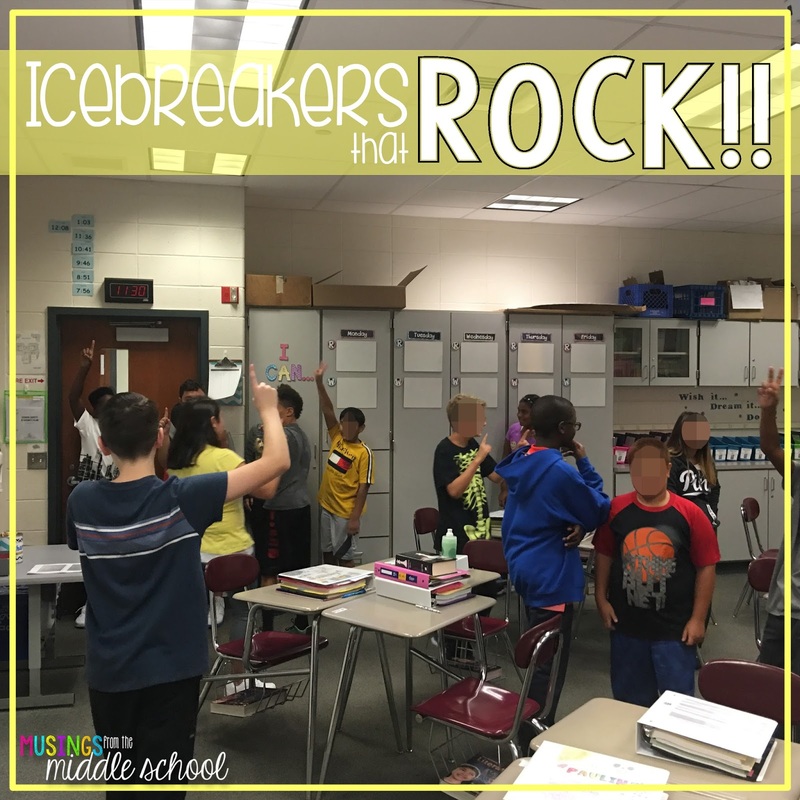 One of the BEST purchases I made from TpT for this school year is the Icebreakers that Rock bundle from Cult of Pedagogy. This product contains three PowerPoint activities that allow students to talk to each other in an easy, comfortable way. What is great about these is that you can use them as one, big activity, or you can break them up, showing just a few slides here and there, as "brain breaks" through out the day. That is how I used them. So, on the first day, I did a big "Find Someone Who" activity with them. This allowed all the kids to learn each other's names. Next, I assigned them all their lockers and we practiced opening the combination locks (super-stressful for these first time locker users)! 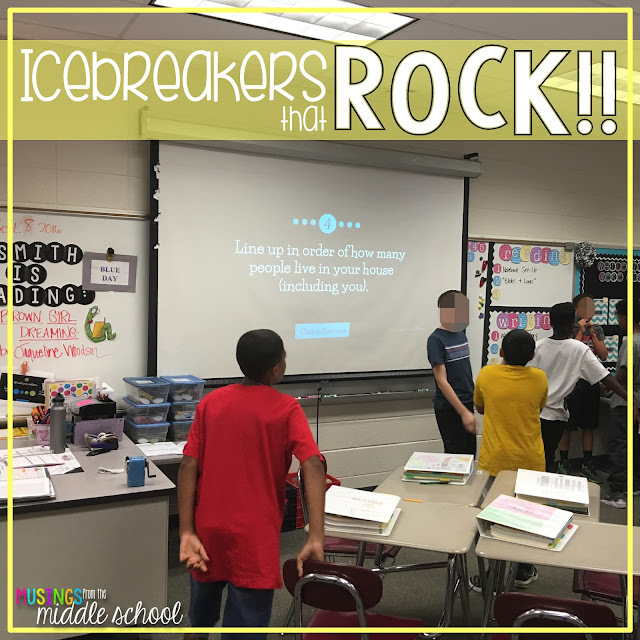 After that, we did a few slides from Icebreakers that Rock. Then, we went over the syllabus. Next, a few more Icebreakers that Rock slides. After that, I handed out and went over all the paperwork that had to go home and be signed (oh, the paperwork!!!). Then, a few more slides right before lunch. And then a few more right after lunch. Next up, a tour of the building. Then a few more slides before trying our lockers again. Finally, another slide right before dismissal. 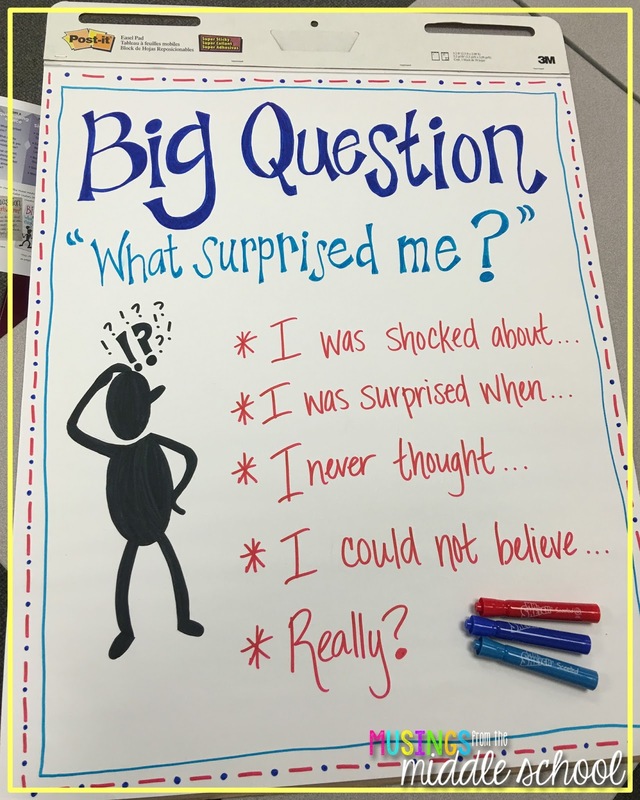 It was the perfect break/filler/attention-getter/distraction to use throughout the day... actually, I used the slides throughout the whole week! Run to TpT and pick this product up today! Totally worth every penny. I really the love smell of a Mr. Sketch anchor poster in the morning! 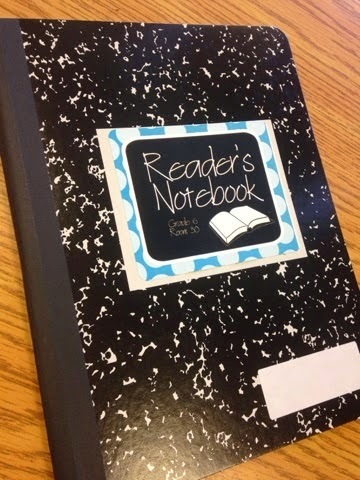 This year, I'm starting with Reading Nonfiction: Notice and Note Stances, Signposts, and Strategies. My thinking is that it will really help with getting started with Article of the Week. Here is one of several of the posters I'll be using to teach these strategies. I'm jumping on the #ObserveMe bandwagon! Read more about it here. I'll keep you updated on how this goes throughout the year! Okay... that is enough for now! The beach is calling my name... nothing beats September here at the Jersey Shore! Hope the back-to-school season is treating you well! I'd love to hear how your school year is going so far. It's really pretty! You did a great job! 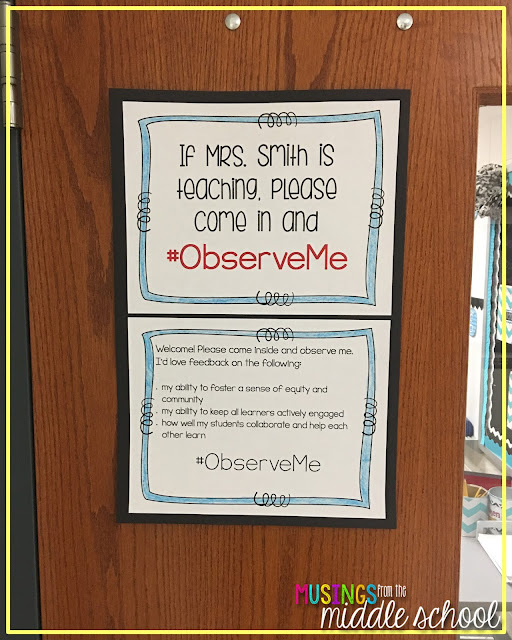 Do you have a template for your #observeme sign? Do you have a form they fill out and return to you? Love it! Oh we are starting Nonfiction Notice and Note this year! I loved the fiction one!!! 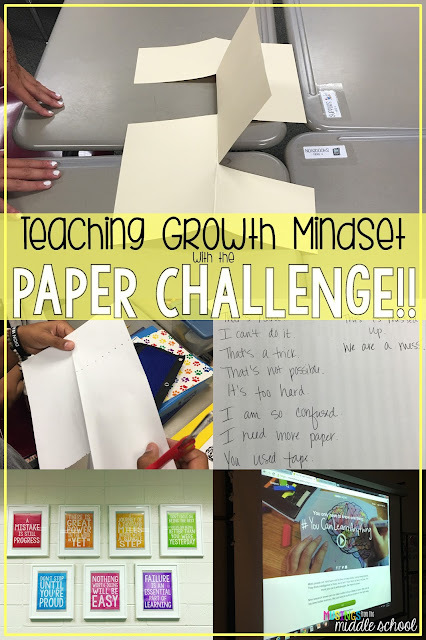 Do you have a template for you paper creation that the students had to recreate? I want to use this in a high school RR setting, but I don't want to make it too easy to recreate! Thanks! 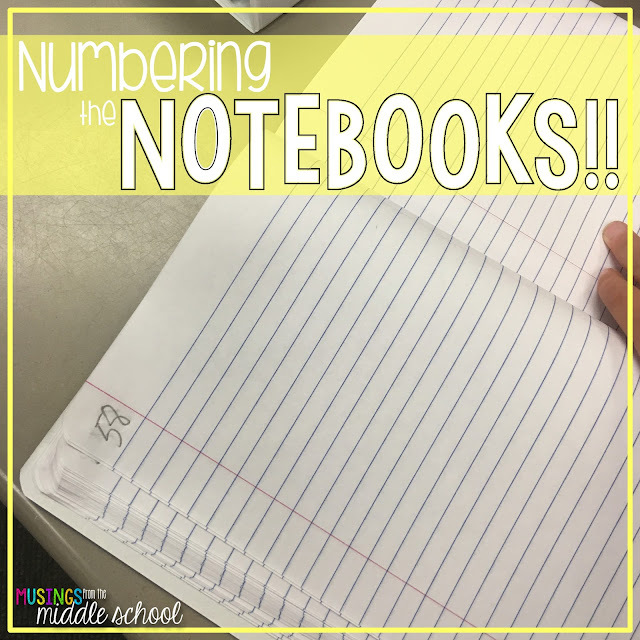 Interactive Student Notebooks - The VIDEO!! Visit Musings from the Middle School's profile on Pinterest. Jenna Smith 2016. Simple theme. Powered by Blogger.